Colonia Condessa is a European style neighborhood, full of trendy sidewalk cafes and restaurants, hip bars and small fashionable boutiques. 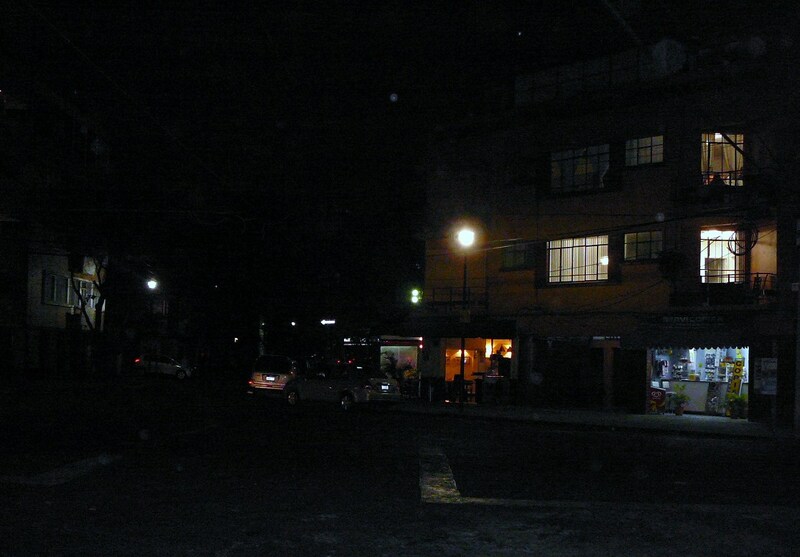 It is considered “the bohemian pulse of the city” whatever that means, and is fast overtaking Zona Rosa as the place to be seen. However on a Monday morning the streets are deserted. 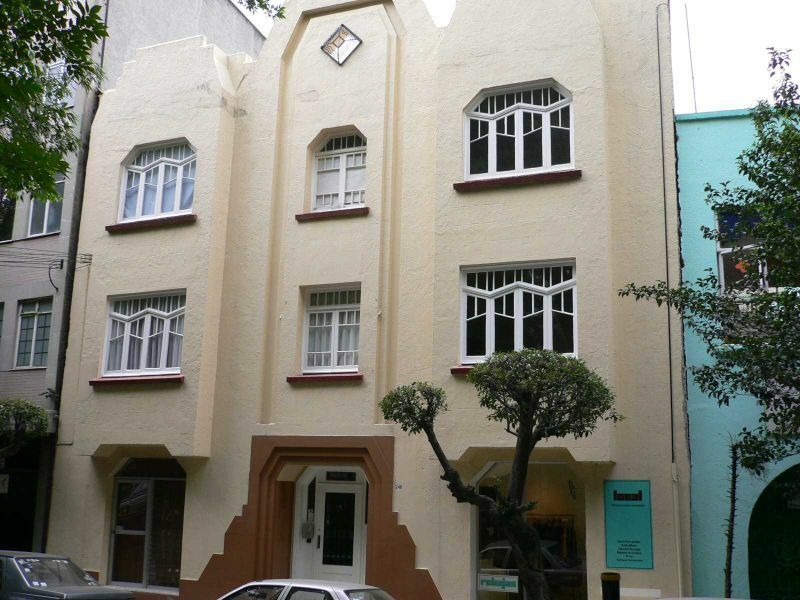 The neighborhood dates back to the early 20th century and the architecture of the houses is a fascinating mix of Moorish and Art Deco. Here, many of the houses are renovated and the expensive cars lining the streets show it is one of the well to do suburbs. We feel quite at home and spend a leisurely few hours exploring the shopping and residential streets of the neighborhood. 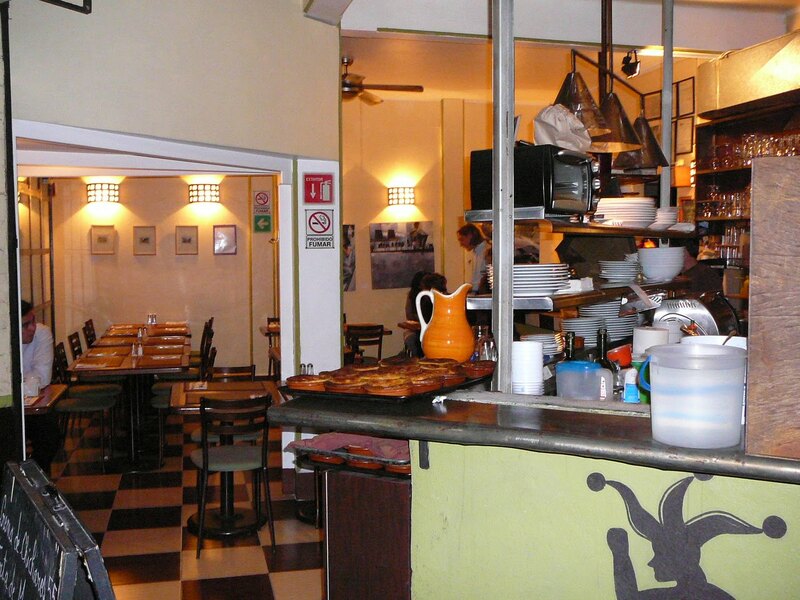 In the evening we go to a small French Restaurant, Bistrot Arlequin at Rio Nilo 42, a ten minute walk from our hotel. We have read about it on the Internet and know that it is off the beaten track with no sign – you just have to listen for French being spoken. The restaurant is tiny and is obviously in a converted two car garage. One metal roll up door serves as the entrance while the other door has been replaced with a huge window. Inside it is an ergonomic miracle, with seating for 28, a full bar, and a tiny open kitchen all crammed into the space. The tables are very close together, but the atmosphere is fun and relaxed. We have no problem recognizing that the chef, the owner and the waiter are all French. They take very frequent breaks together and stand just outside the roll up door together chatting and smoking, the fumes wafting into the restaurant. The waiter is young, tall and scruffy. His clothes would look better with the help of an iron. His shirt is partially untucked, hanging outside his trousers. His hair is long and lank and pushed back behind his ears. All his features are oversized, his large oval eyes are set very far apart and his Gallic nose does its best to fill the space between them. His huge hands hang limply from his wrists. It seems that his height is recently acquired as he moves rather awkwardly and appears unprepared for how far down he has to reach to pick up things. He exudes an aura of excitement that so many young people have with a new job, which only partly makes up for his inefficiency. In another example of Gallic behaviour he is eating his own dinner while serving us ours. Fortunately he is helped by two women who are friendly and excellent. The chef is a dashingly handsome slim man around 40 years old, with his long black hair pulled tightly to the back of his head and tied in a pony tail. He has a cleft chin that Michael Douglas would envy. He wears slim cut black and white chef trousers, a black shirt and a black apron. The only colour is a dazzling gold necklace. Mon dieu! The food is excellent and quite reasonable, and the wine list small but interesting. The restaurant is full and we can’t believe that the chef can turn out all the food in a timely manner, but he does. 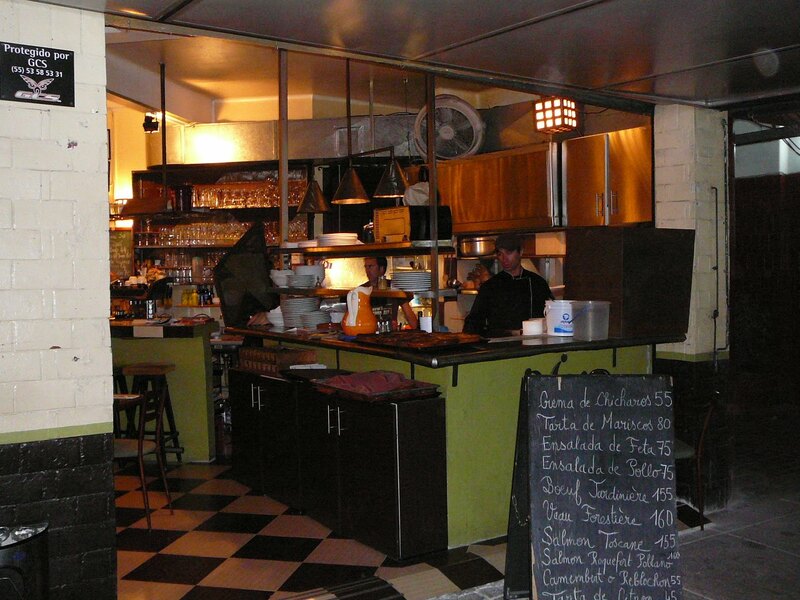 This entry was posted in Bistrot Arlequin, Colonia Condessa, local architecture, local restaurants, Mexico City, travel review, travelogue. Bookmark the permalink.